Tri-Faith Initiative & American Muslim Institute (AMI) - Vic Gutman & Associates, Inc. 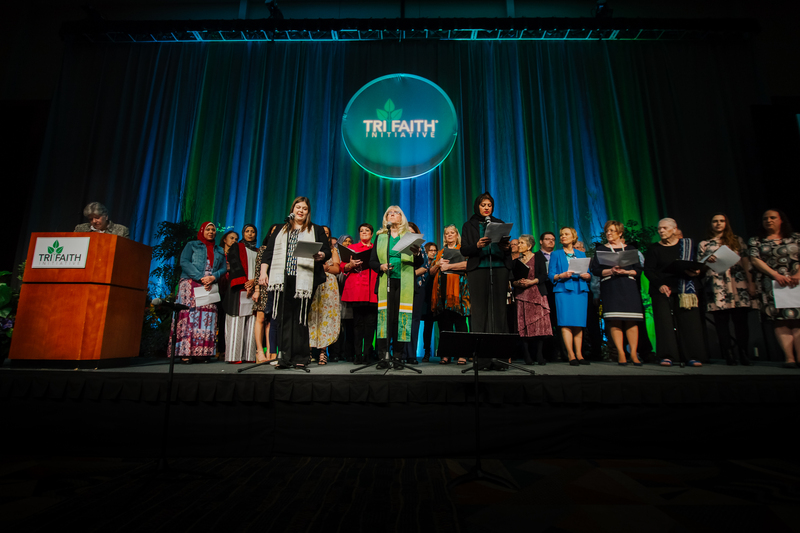 The Tri-Faith Initiative was formed in 2006 when three Abrahamic faith groups—Temple Israel, The Episcopal Diocese of Nebraska and the American Muslim Institute (AMI)—decided to intentionally co-locate their houses of worship on neighboring properties. This multi-faith campus known as the Tri-Faith Commons will also feature a fourth building, the Tri-Faith Center, to be operated by the Tri-Faith Initiative with the goals of encouraging interaction among the faith groups and providing engaging interfaith programming for the general public. In April of 2015, Countryside Community Church (United Church of Christ) voted to join the Tri-Faith Initiative, replacing the Episcopal Diocese as the Christian partner. The Episcopal Diocese remains supportive and engaged in the Tri-Faith Initiative. Initially, VGA provided the Tri-Faith Initiative with consultation on strategy and board development, and then provided marketing and event management services for an early fundraising event in 2009. VGA developed a case statement and submitted funding proposals, and facilitated meetings to raise the $800,000 necessary to purchase Tri-Faith’s land on the campus currently under development at 132nd and Pacific Streets in west Omaha. VGA worked with the Board of Directors to guide the process of selecting and hiring an Executive Director in early 2018. VGA continues to assist the Tri-Faith Initiative with administration, fundraising, community and media relations, and strategic planning and acts as a liaison between all project stakeholders. In April 2018, VGA organized a fundraising dinner event called Dinner in Abraham’s Tent, with over 700 guests. The event raised over $85,000 for Tri-Faith operations. VGA has also assisted AMI with strategic planning since 2006, and helped develop and implement a fundraising strategy to raise the dollars necessary to purchase its land on the Tri-Faith Commons and to build their Islamic center. Through successful fundraising efforts, the American Muslim Institute was able to open its mosque and educational center on the Tri-Faith Commons in May of 2017. VGA successfully organized a public open house for AMI with over 2,000 community members in attendance. Countryside Community Church is currently under construction on the Tri-Faith Commons, expected to open in spring 2019. VGA is also leading efforts for a capital campaign to raise the funds for the Tri-Faith Center, which is expected to be complete in 2020.